Earlier at the Hexagon 2011 conference, ERDAS and Intergraph had announced new data revision workflows. A prominent demonstration was also made on 'Live Link' capability which enabled live syncing of views and analysis results between ERDAS Imagine and GeoMedia. Later in the year Intergraph and ERDAS hosted a series of webinars, Synergy Series showcasing collaborative innovation. It was like emerging of a new power in the geospatial industry which will ultimately help the world in a big way. Clearly set objectives were a reason for this. Together, Intergraph and ERDAS provide a comprehensive geospatial system capable of translating change, on the fly, into actionable information. 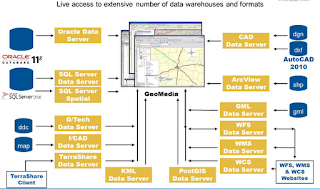 Consumers finally have an integrated software solution to handle their entire geospatial information lifecycle: processing vector, raster and terrain data into actionable information; managing, fusing, and sharing geospatial data across departments and regions; and finally, rapidly and securely delivering integrated information products, ensuring individuals can make timely decisions. Intergraph® Corporation announces the availability of Live Link, connecting GeoMedia® and ERDAS IMAGINE®. 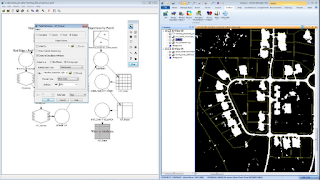 For the first time, users can leverage GeoMedia’s rich set of vector handling tools and ERDAS IMAGINE’s raster capabilities to support synchronized data sharing, viewing, editing, updating, and analysis. To mark the release and to educate existing and prospective customers about the power of the combined offering, Intergraph hosted two webinars. Being really excited about the product, I made it a point to register for both of them. One webinar Leveraging ERDAS IMAGINE within GeoMedia Workflows concluded yesterday and another Using GeoMedia to Enhance ERDAS IMAGINE Workflows is scheduled for today. 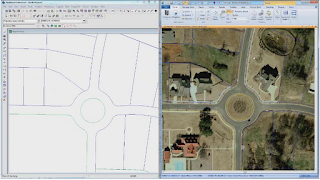 Live linking ERDAS Imagine and GeoMedia has empowered the users to seamlessly integrate their image analysis and GIS workflows; who otherwise had to rely on products offered by different vendors. Option to live-link ERDAS & GeoMedia is provided right under the Home tab. There are options to 'Connect and Link to GeoMedia', 'Match View to GeoMedia Map Window' and 'Match GeoMedia Map Window to View'. Option is also provided to 'Sync GeoMedia Map Window to View'. 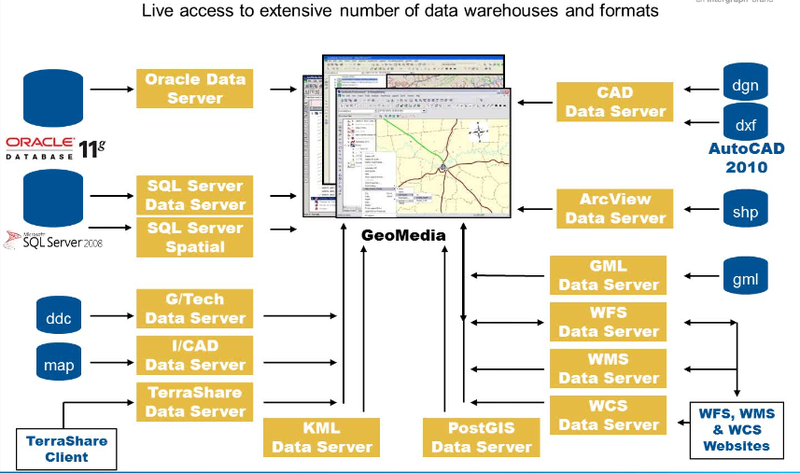 Attributes in data warehouses can be accessed either in GeoMedia or inside Imagine. A demo: ERDAS Imagine Model Maker was used to automatically identify impervious areas and calculate the impervious areas per parcel. The calculated values were updated into a GeoMedia warehouse by writing the impervious value per parcel to a new attribute. In addition to Live Link, ERDAS Imagine also includes data access and translation tools, which make accessing GeoMedia data from within ERDAS easier. I was also amazed to see the power of EasyTrace - semi automated feature extraction, and Imagine Objective which provides Object Based Image Analysis capabilities. It must be noted that ERDAS Imagine/GeoMedia 'Live-Link' is the only comprehensive GIS and remote sensing package which comes from a single organization. Reinstatement fee for customers not under maintenance is waived.